This product is suitable for use in a wide variety of direct thermal label printers, including (but not limited to) Zebra, Sato, Datamax, Fargo and Intermec; especially those typically used in weigh-scale applications. BLANCO also manufactures a 1.5 in. x 1 in. 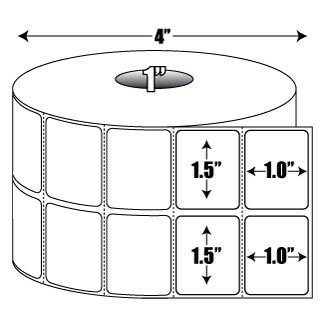 2-up direct thermal label with a 3 in. core and/or a general purpose adhesive (see related items).